Welcome to Digital Digest! It's another slow fall news week, of course, but we're here with all of your news, and reviews of Fantasy Island - The Complete Third Season and Happiness Is... Peanuts - Go Snoopy Go! Let's get started! It seems like it was only yesterday that CBS released Perry Mason - Season 7, Volume 2 (well really it was four days ago), and we're just a little over a month away from the beginning of the eighth season with Perry Mason - Season 8, Volume 1. You'd think that would be all of the upcoming releases, but that is incorrect, because yet another release is on the way for January 15 with Perry Mason - Season 8, Volume 2! This will only leave the two releases for season nine unreleased, and it is probably a safe bet to say that we'll see those sometime in 2012. I Love Lucy is something that seems to be "said and done" on DVD, but about two weeks ago, we found out that wasn't exactly the case as CBS re-released most of the seasons (with the remaining ones coming next month, although technically Target is offering every season right now as a Target exclusive) in new packaging. For the most part, these re-releases come in packages with new "cartoon" artwork, a standard Viva case, and the disc artwork is replaced with the CBS "series logo on a gray background" standard... in other words, they are more like the other releases that CBS has out there. But it is worth noting one release in particular, and that is I Love Lucy - The Complete First Season. When CBS released this set, TV on DVD was just beginning, so this ended up being a rather large set, but the big problem was that the episodes had not been remastered as the episodes were for the remaining seasons. These issues were rectified with I Love Lucy - The Complete Series, but there wasn't any way of getting just the "better" season one release by itself... but now, with this re-release, we can happily report that all issues have been fixed to match the other releases. Last week, VEI supposedly released Cagney & Lacey - The Complete Series on DVD... but we have to put emphasis on supposedly. While we don't exactly know what is going on, it appears that there is some sort of delay keeping it out of the hands of fans for now. We can't find any website actually shipping the set (US or Canada), and a post on the official series blog seems to indicate uncertainty even from the series producer as to when fans will actually be able to order the limited edition release. We don't doubt that this set is on the way... after all, it is really pretty rare for a VEI release to actually show up on the anticipated release date... but we don't think it is available just yet, and we'll let you know when it actually is available. On a related note, McMillan & Wife - The Complete Series was slated for a release by VEI this coming Tuesday. That release has similarly been delayed until November (and, for all we know, this date may not be final either). We'll let you know more when we know more. 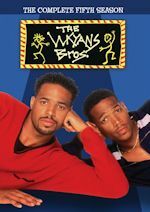 Tuesday (October 23) has several releases, but only two sitcoms. First, we have Happy Endings - The Complete Second Season (our review). Lionsgate wraps up the final episodes of a TBS sitcom with Meet the Browns - Season 7. Shout! Factory moves forward with Fantasy Island in Fantasy Island - The Complete Third Season. We have a review of this set today in Digital Digest. CBS has two releases, with The Fugitive - Most Wanted Edition (The Complete Series) and Perry Mason - Season 7, Volume 2. You can see our Perry Mason review in last week's Digital Digest. Finally, TGG has In the Heat of the Night - 24 Hour Marathon Collection, consisting of 32 episodes of the classic crime drama. Smiles, everyone, smiles! 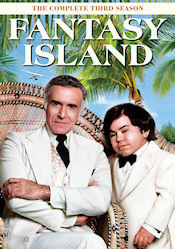 Fantasy Island returns to DVD with 23 more episodes from the third season. 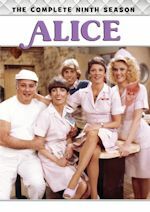 The classic ABC series follows Mr. Roarke (Ricardo Montalbán) and his sidekick Tattoo (Hervé Villechaize) as they fulfill the fantasies of everybody who comes to the island (oh, and many of them just so happen to be well-known TV stars from other series) for a price... and shows them that they must be careful what they wish for. As in the past, we can't describe every plot in every episode, since there are simply too many (two per episode), and some of them really aren't that great. But we'll go through a few of them here, and we'll list some (of the many) guest stars with the runtimes. A man sees a hit man eliminating him as the way for his family to get rich off of his insurance in "Hit Man." Tattoo has a fantasy that is too much for him to handle in "Tattoo: The Love God." Tattoo decides to adopt a baby boy in "Baby." In "The Boss," a woman's struggle for power puts her on the top where she'd like to be, but it won't be a smooth ride. A 50-year-old woman wants young romance in her life in "Young at Heart." In "The Wedding," Mr. Roarke's fantasy is shattered when his bride-to-be has an untimely death. An overweight woman wants to get thin for revenge in "Class of '69." A man wants to spend the weekend with a movie star in "Marooned," but his fantasy is not at all like the reality. A widow wants to visit her dead husband in "On the Other Side." In "Winemaker," a nun wants to win a wine tasting contest, but Tattoo has tasted it and he isn't pleased. In "Stark Terror," a traumatized girl wants to relive the night of her mother's murder. A young woman wants to look into the future in "Terrors of the Mind," but it isn't a very nice picture. Two women have a fantasy that puts them back into the stone age in "One Million B.C." In "The Eagleman," a father wants to win his son's respect by becoming the comic book hero his son worships. The set comes packaged in a Viva case. The cover has a photo of Mr. Roarke and Tattoo with the island in the background. On the back, there are several episode snapshots, a description of the series, and a list of some of the more well-known guest stars. Inside the case, you'll find a list of episodes, but instead of episode descriptions, there is a list of guest stars by episode... but these lists aren't really that great, because they seem to randomly list guest stars and miss some of the bigger names in the episodes. The set contains six discs, each which has artwork identical to the cover art. The menus are pretty much the same as the previous release. The main menu has a photo of Mr. Roarke and Tattoo (same one from the cover art), and video clips from the episodes on the disc play in the right-hand corner of the screen. The theme song plays in the background. Options on the main menu include Play All and Episodes. Once you select Play Episodes, you get a listing of the episodes while some transitional music plays in the background. Each episode contains chapters placed at each commercial break. The episodes on the set generally look and sound good. There are some defects, such as debris and low audio levels, but none of it is anything to really be worried about. Honestly, the episodes look better than one would expect. Each episode is closed-captioned. Like the second season, there are no special features on this set once again. Once again, Shout! has put together a great set for this series, and I'm hoping that we'll see more of this series from them in the future. Sony seems to be releasing this series too as MOD releases, but they are running behind Shout! (at least for now), and pressed DVDs are definitely preferable to MOD releases. I have a feeling we'll never see any special features on these releases, which is a shame, but at least we are getting the episodes in an unedited and high quality form. This DVD set truly is a fantasy come true... but without the consequences! America's favorite pastime only gets better when Peanuts hits the field in the TV special It's Spring Training, Charlie Brown. Baseball season's first game is coming up, but Charlie Brown's team doesn't even have uniforms. Can their new player, little Leland, help them reach a big victory? Then, the antics continue in five adventures from The Charlie Brown & Snoopy Show. Snoopy swoops in on the gang when he thinks he's a winged predator in "Vulture," Linus tries to break a habit in Blanket, school means trouble for "Peppermint Patty," the back of a bicycle is the road to excitement in "Rerun" and Charlie Brown tries to rouse spirits in "Rainy Day." 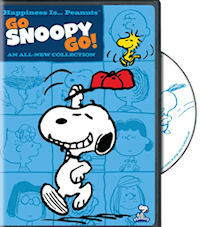 Bring home the latest Peanuts DVD collection as there's no stopping the fun when Snoopy is on the go! It's Spring Training, Charlie Brown is from 1992 and the 35th primetime special that Peanuts had. 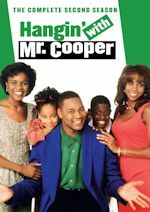 It never aired on CBS in 1992 though for some reason, so it was not released until 1996 when it made it on home video. It is a perfect time to bring it to DVD for the very first time as the MLB Playoffs are going on. That's better than spring training, Charlie Brown! On this set we also have an episode from the 1983-85 series The Charlie Brown and Snoopy Show. It is episode #13 and titled "It's that Team Spirit, Charlie Brown" and we get four short episodes in this episode. Let's now move on to the packaging. It's the same as all the previous sets like these. We get a very thin keep case, that is movie style. The cover art is in blue and has a artwork of Snoopy tipping his red cap as Woodstock is above the cap. The title of the set is on top and we have different Peanuts characters in the blue background. The bottom has a Snoopy Peanuts logo. To the back we go, we get a nice shot of Charlie Brown running with Snoopy & Woodstock. The back also has details on the two specials. When we open the case, there is no artwork inside, so it is just plain black, like usual. We have an insert for a coupon for a jar of Peanut Butter & Co. Save $1! The disc is on the right panel and is in a grey color with blue shading. It has artwork of Snoopy about to jump in a tub with Woodstock. The menu screen has options of Features, Trailers, and Languages. We get that blue background again along with the same artwork style as the cover art, with the theme song playing in the background. For Languages, we have options for English, Chinese, Espanol, Portuguese, and Thai. For subtitles we have English, French, Chinese, Espanol, Portuguese, and Thai. The Features section have the two specials listed by title, we can also select Play All to play them consecutively. Finally, Trailers has previews of Peanuts Holiday Collection, Dr. Seuss' How the Grinch Stole Christmas and Peanuts Halloween/Elected. There is also an auto-trailers before the main menu for Tom & Jerry sets. The video and audio is good. These aren't new specials really, but they look good. All of these specials are all so good ever since they started the Remastered Collection sets. However, I don't see that wording on this set for some reason. So maybe it isn't? Still, I am very impressed yet again. Warner continues to do a great job on this remastering of all these classic specials. Even though The Charlie Brown and Snoopy Show episode isn't a special, the It's Spring Training, Charlie Brown is. That special looks much better than the former on here. It is newer, but that doesn't mean anything as the '60s/'70s specials even looked better. And also the main thing is that all of the specials are unedited! These sets are must buys for the video quality alone, as it is a major improvement over the VHS versions or anything you taped from TV in the last two decades. As for special features, we get nothing here at all. That is a disappointment since we usually get at least one featurette on a set. Who to Follow: Christine Lakin (Twitter), "Dude! Remember Al from Step By Step? Well, you stumbled on her Twitter. That sounds dirty!" 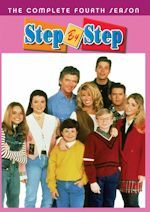 Claim to Fame: Child actress who played Alicia "Al" Lambert from the '90s sitcom Step By Step, has gone on to find success and adult actress, and (no doubt) a friend of our website! Why You Should Follow Her: We've talked about Christine Lakin a lot here, and we've even interviewed her on this blog... twice, in fact! While many young actresses leave the entertainment business for different reasons as they get older (some are unable to find work, and others just want to go back to being an "ordinary person"), Lakin didn't throw in the towel, and has found success as an adult. Currently, among other gigs, she voices Channel 5 anchorwoman Joyce Kinney on Family Guy and has her own web series Lovin' Lakin on Hulu. On Twitter, she talks about virtually everything going on in her life, and believe it or not, part of her "life" doesn't exclude her former Step by Step co-stars. And above all else, she is clearly one of the few actresses out there who just seems to want to enjoy life.